Star Wars is only one galaxy, but they use FTL because it would take too long to get between planets. Ok, I'd still say Sub-Light cause it's not that big. And because technically light-speed is impossible. Well, instead of lightspeed, you could have a drive that warps space and time itself, instantly moving a ship to another point of the galaxy to another light-years away. That's one of the things I was talking about also. I know lightspeed is impossible for anything besides light IRL, but Warp speed is possible. Eventually. I would suggest having some sort of FTL, since our current space tech is technically "sub-light", and it takes us like 20 years just to get to jupiter. So maybe we could do like a mix of FTL technologies, so like warp, hyperspace, bending space, that sort of thing. Oh and light-speed is actually very possible, especially with the warp technology that nasa scientists are currently working on. Maybe we should do Light-Warp. You can Warp for very short distances. Like so it take an hour to get to Jupiter? Maybe, but we can almost do that now, and I am guessing this is several hundred years in the future right? Wouldn't their tech be much, much more advanced than ours? Yes, but for now We're trying to keep this inside our own galaxy for now. Yes, but you do realize just how big the milky way is right? It is over 100,000 light years across, that means that it would take 100,000 years, travelling at light speed, to get from one end to the other. If the galaxy that SFK takes place in is bigger than the milky way, then it would take even longer to travel across it at lightspeed. So in conclusion, I believe that we need to have drives that can travel at, atleast twice the speed of light, if not faster. I know you guys want to keep it in one galaxy for now, but the galaxy is huge, there is no way there would be any sort of empire if everyone could only travel at sub-light, it would take millions of years to establish any sort of meaningful empire with sub-light ships. I'm not positive what your question is, but if you join the Nova League your with the Nova League. Your character could have worked with another faction, but you're still with the Nova League. So I have a question, what is the general opinion on using anti-matter as a fuel source? Could I use it as the fuel source for my character's ship? Some kind of workaround for the light speed limit is necessary for any serious interplanetary fiction. Whether it's "star gates" (like in Mass Effect, say) or "hyperdrives" (like in Star Wars), you need to be able to break the rules of "what's possible" as we understand it now. Gates act like "shipping lanes" or "passes" and can create interesting situations and stuff. But ultimately I think the Star Wars solution is best: let's not get bogged down in the details of how space travel works and stuff. Let's just wave it off and say "there's hyperspace for FTL and ships have hyperdrives to go fast!". No, if you join the Nova League you cannot participate in their FC's, or get points in their behalf in the GC's. As mccoyed said below, lets keep this stuff simple. If you want you can do it, but your type of fuel source is not overly important. If there's anything your wondering about your ship please PM me so we don't clog up the FAQ thread. But all-in-all just keep it simple. But ultimately I think the Star Wars solution is best: let's not get bogged down in the details of how space travel works and stuff. Let's just wave it off and say "there's hyperspace for FTL and ships have hyperdrives to go fast!". Is there a reason why there isn't a flickr group yet? It would be a whole lot easier to follow all the developments than looking for things on different peoples streams or needing to log in to a computer. I think I'm just waiting for an icon to have as the group picture. How about this one for the time being? Good idea. 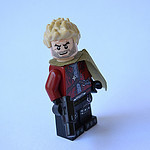 lego3364!, Marek Luinmor, or Jackson of Centuri, feel free to make one today, or I will make one when I get home this afternoon.